With all the costs associated with shipping, it can be hard to understand what your fees cover, whether you can reduce them or not, and understand why you are being charged each amount. Undoubtedly, one of the underlying costs that all importers and exporters have to bear are infrastructure fees at the port. Read on to understand what these infrastructure fees are and why they are charged. What are Terminal Infrastructure Fees? Infrastructure fees are levied by stevedores in Australian ports. Stevedores are essentially the workers responsible for loading and unloading ships. The fees are payable to firms carrying containers to and from terminals (terminal operators). These access fees are a means for terminal operators to recover scaling costs, like port rents, taxes and council rates, maintenance fees, labour rates and electricity bills. These infrastructure access and usage charges provide ongoing investment in infrastructure that will increase efficiency and allow ports to receive even bigger vessels. As well as this, the funds obtained will sustain structural changes to some terminal operators’ revenue models. More recently, some terminal operators take the view that infrastructure fees are an appropriate and necessary method to restructure the way stevedores earn their revenue. Over the last two years, the transport and logistics landscape has been highly impacted by the way these fees have been levied. There has been an ongoing rise to fees by the leading industry operators, pushing other key players to follow the lead. 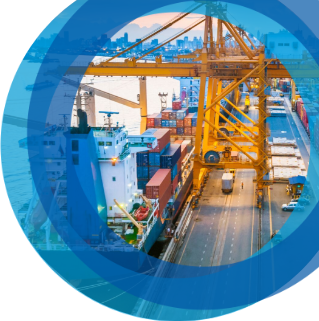 The latest ACCC stevedore monitoring report states that by 2017-18, infrastructure fees were raising $100 million for terminal operators and are expected to top $180 million in 2018-19. These fees continue to rise with little transparency or at a minimum industry consultation. For that reason, they have seen calls for regulation of the container terminal sector. The Container Transport Association Australia (CTAA) echoed the call for state and federal political intervention, encouraging governments to conduct investigations as a matter of urgency, jointly or severally. The Deputy Prime Minister of Australia, McCormack, has stated publicly that he will wait for the next ACCC Container Stevedoring Monitoring Report due in October before considering action on stevedore fees and charges. As the political clash evolves and an upshot of the ongoing spiking fees is unlikely to happen soon, it is inevitable that these fees will flow down the supply chain and ultimately be borne by importers. As to what importers and exporters can do at this stage, it is recommended to be aware of the most recent industry updates and extended notices of upcoming fees given by terminal operators in order to anticipate costs and plan your budgeting accordingly. Should you need any assistance with shipping fees, charges or recent industry changes, the experienced team at ICE are always on hand for help and advice on 1300 CARGO1.